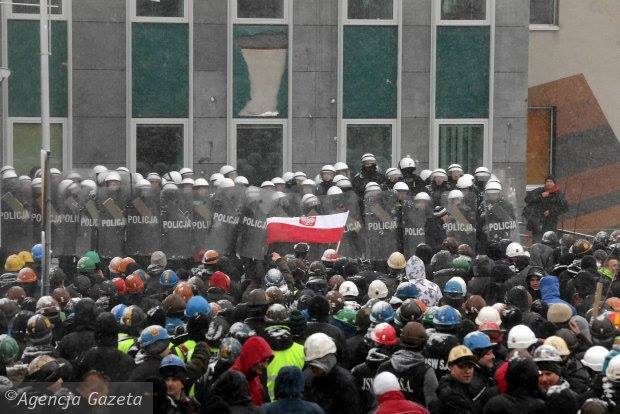 n February 21, 2015, anti-globalization activists from across the Polish political spectrum gathered in the building of the Polish Teachers’ Union in Warsaw for the founding congress of the new political party, Zmiana (Change). Despite derision by the Polish corporate media as the “Russian Fifth Column in Poland,” “Putin’s little green trolls,” and “little red idiots,” and notwithstanding political harassment by the Young Greens who strove to ban the congress from the All-Polish Alliance of Trade Unions building, and also in defiance of the presence of the Ukrainian SBU outside, more than a hundred activists proudly assembled to launch a new party of tremendous importance to the Polish political scene. Despite his being denied entry into Poland, the triumphant gathering of Zmiana was still pleasingly greeted by a video message from the Minister of Foreign Affairs of the Donetsk People’s Republic. 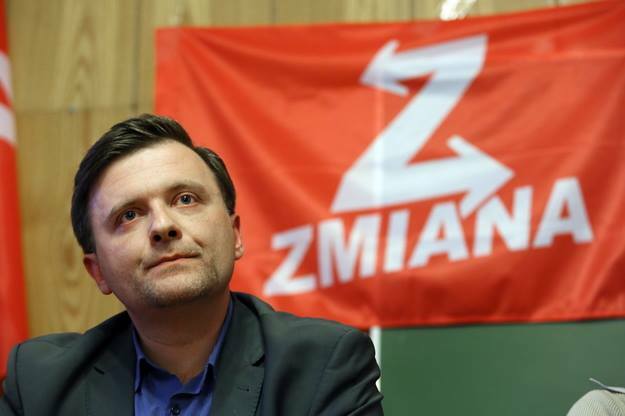 After speeches by the organizers and prospective leaders of the party, debate over the program and elections, Zmiana addressed the public in a press conference which revealed the vitality and faces of the new party. 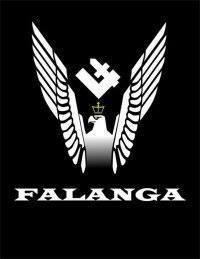 The party’s command includes figures from the Communist Youth, Samoobrona (Self-Defense) Party, Falanga, and recognizable faces from various union, socialist, and anti-imperialist organizations. The head of Zmiana, Mateusz Piskorski, former representative of Samoobrona and general secretary of the European Center of Geopolitical Analysis, has become the new icon of what has been decried as a strange, new, leftish-looking and Kremlin-backed ensemble on the Polish political scene. Known for his geopolitical expertise, his guest appearances on Russian television, his observer duties during the Crimea referendum, and his visit to Novorossiya, Piskorski may be a familiar personality to those fighting for a multi-polar world, but his new party has yet to receive the attention it deserves. Zmiana’s Programmatic Declaration lists the exit of Poland from NATO, the nationalization and socialization of strategic sectors of the Polish economy, the establishment of a welfare state, reindustrialization, the protection of Polish agriculture, and reform of the democratic structures in Poland as the party’s principal demands. In terms of foreign policy, Zmiana’s leaders have proposed reconciliation and deeper ties with the countries resisting American hegemony, such as Russia and China, with the aim of promoting a new “friendship and alliance from the Atlantic to Vladivostok,” i.e., a cooperative Eurasian continental bloc. Overall, the ideological conviction of the young Zmiana boils down to a mix of demands concerning national liberation, social justice, and alliance with those forces which are fighting for a multi-polar world, although the latter has yet to be explicitly formulated in the party’s program outside of its leaders’ statements and sentiments. Among other things, the party has expressed an interest in working for an “objective assessment” of the history of the Polish People’s Republic before 1980 for the sake of refuting the Russophobic, anti-communist “forgery of modern history” perpetrated by the Polish oligarchy. 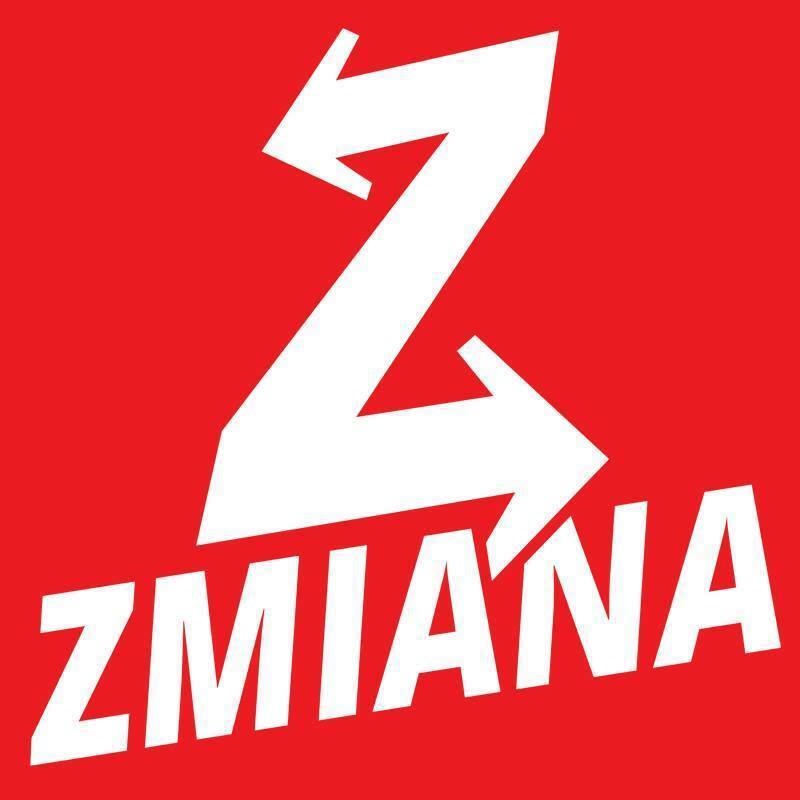 While Zmiana has been written off by some as merely another social-democratic project with a half-baked Left nationalist or populist program, the meaning and potential role of Zmiana on the Polish political scene as well as the unique composition of its members and affiliates hint that the birth of Zmiana is of far greater significance misinformed comparisons with SYRIZA in Greece or Podemos in Spain might suggest. First and foremost, the geopolitical context of Zmiana is undoubtedly crucial. It is well known that Poland is the central geopolitical pivot in Europe between the Atlanticist regimes and the Russian-Eurasian World, and moreover that at the present moment this point is successfully occupied by the West. Poland is the United States’ and NATO’s ideological and military beachhead in Eastern Europe which, as has been admitted by American military officials, would be used (and is) as the launchpad for a Western war against Russia. In economic, political, and military terms, Poland represents little more than a semi-colony. Poland’s economy is geared towards dependence on the European Union and the United States (Zmiana has cited the figure that 85% of Poland’s banking and credit institutions are in the hands of foreign investors); the US maintains a significant military presence, including an infamous CIA torture “black site;” and the Polish political elite act as little more than puppets or, at best, attack dogs for their Western patrons, while thousands of NATO and American boots are deployed on Polish soil. The obvious reality is such that since the collapse of the Polish People’s Republic in 1989, Poland’s institutions and society have been molded along the lines of neo-liberal capitalism; hence, Poland has become firmly situated in the Western geopolitical camp by dint of military occupation, economic enslavement, and ideological indoctrination. The emergence of such a party as Zmiana represents at once a growing suspicion among the people of Poland’s geopolitical manipulation and economic exploitation by the West and the birth of a renewed political challenge to the current paradigm. The throwing down of the gauntlet by Zmiana before Western imperialism and its lackeys in Poland is a breakthrough which is catalyzed not only by the geopolitical importance of Poland to the Atlanticist project but even further by the distinctly syncretic nature of the nascent Zmiana. Present and participating at the congress were representatives of both Left, Right, and those who would consider themselves “beyond” such political categorizations. 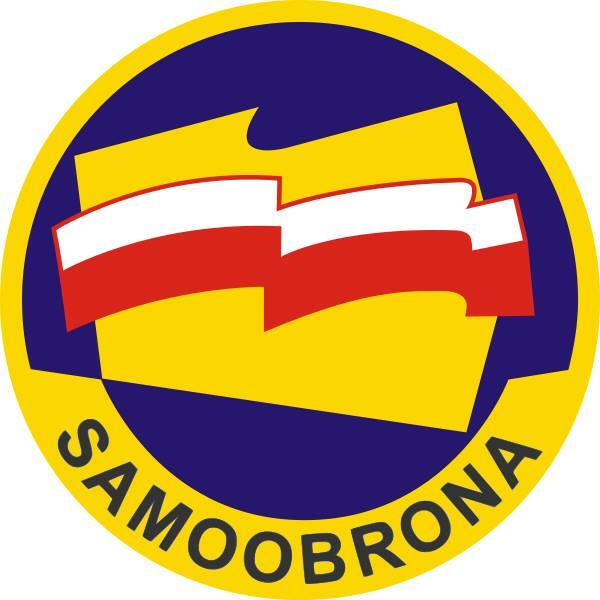 Communists, socialists, Falangists, Eurasianists, National Bolsheviks, and veterans of the populist party Samoobrona (Self-Defense) gathered together under the same roof to found a party which could unite their oppositional ideologies into a common anti-imperialist, socially-oriented front ready to carve out a path of struggle in the conditions of the 21st century, unipolar, Post-modern world. Such a party is the first of its kind in the history of Poland, and is a unique product of the contemporary conditions of global revolutionary struggle in which both Left and Right find themselves in the same boat in fighting the globalization of the ideology of Liberalism and the American system of neo-liberal capitalism. While such a novel development is indeed curious and exciting, the Zmiana experiment, as part of the unfolding syncretic struggle as a whole, faces crucial tasks in ensuring its unified development. Firstly, there is the problem of securing the syncretic character of the party and preventing ideological split, which would obviously spell the end of the project. 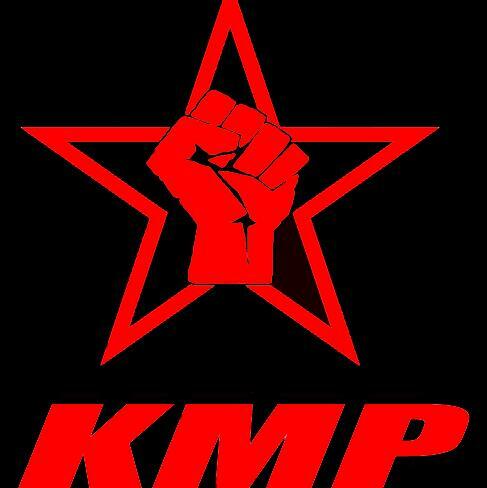 On the one hand are fascists; on the other are communists, i.e., sworn enemies of the period of Modernity. 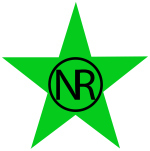 Thus far, both wings have voluntarily united to build the new party of change, but if Zmiana is to present a real alternative to traditionally antagonistic Left and Right for the purpose of a syncretic struggle and avoid a fated split, its members must collectively tackle the project of an ideological construct which situates and critically contextualizes their different creeds in a unified struggle in Poland. Whether the ultimate conceptual framework for facilitating such cooperation proves to be National Bolshevism or the Fourth Political Theory will be clear only if the party’s ranks engage in such an undertaking before succumbing to stagnation and polarization in the process of entering the political playing field. Indeed, the case of Zmiana bears especially enormous potential in regards to the application of the Fourth Political Theory to build a syncretic struggle in Poland. If Zmiana is to oppose the ideology of Liberalism, capitalism, and the enforcement of the two upon the world via Globalization, Zmiana needs a coherent, anti-Liberal ideology of its own, and moreover one which transcends the typical divide between far-left anti-Liberalism (communism) and far-right (fascism). 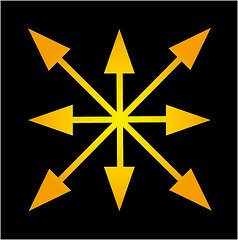 The working parameters of the Fourth Political Theory, as proposed by Alexander Dugin and Alain de Benoist, offer precisely such a platform. The Fourth Political Theory seeks to deconstruct the ideologies of Modernity in order to integrate theses of theirs deemed useful into a construct which simultaneously transcends the philosophical restrictions of Modernity. By breaking the “hermeneutic circles,” or removing the inner kernels, i.e., the subjects, of Marxism, Fascism, and Liberalism, the three no longer appear as comprehensive political ideologies, but as sets of theses, some of which may be legitimate. Concerning Marxism, by removing the subject of class and the world view of historical materialism, one still has for appropriation Marx’s brilliant and thorough critique of capitalism, an analysis which is vital to understanding the fluxes, structures, and underpinnings of capitalism. Similarly, upon removing the nation or race as the determinant, judgmental subject with tis explicitly racist pretensions from Fascism, one can critically annex the important concepts relating to ethnosociology which explore the importance of ethnic and national communities to human interaction, civilizational types, and the history and role of “the people” as an identity. By utilizing the innovations of previous ideologies while appealing to pre-modern sources which directly challenge the very philosophical foundations of Modernity and Liberalism, the Fourth Political Theory offers the framework in which traditionally divided Left and Right can coalesce to oppose Liberalism in the period of Post-Modernity. While here is not the place to flesh out the history, development, and concepts of the Fourth Political Theory, suffice it to say that, in the context of Poland and the founding of Zmiana, the proposals of the Fourth Political Theory open the door for dialogue between Left and Right on their respective shortcomings, historical experiences, commonalities, and differences on a rectifying philosophical as well as practically political level. Such a dialogue has the potential to produce a comprehensive program of struggle against the modern world around which all anti-Liberal, anti-capitalist ideologies and formations can rally, and the Fourth Political Theory presents itself as precisely such a space and framework for syncretic union. As the appeal of Zmiana being the “first non-American party in Poland” continues to draw those alienated by the major Polish political parties as well as especially from the fringes of the fragmented, decrepit remnants of revolutionary Left and Right, such an ideological foundation will prove all the more necessary to facilitate the construction of a genuine alternative to the disunity and exhaustion of anti-Liberal forces. Secondly, but undoubtedly in deep connection to the first ideological challenge, Zmiana, as a patriotic party engaged in a national liberation struggle, must define the civilizational identity of the Polish people which has been for too long muddied and deliberately slandered by the Russophobic crusade of the Polish oligarchy and its Western paymasters. The predominant academic and political paradigm portrays Poland within the presumptuous lens of a “road to Europe.” In contemporary discourse, it is often taken as a given that Poland is “part of Europe,” meaning that Poland is an integral part of Western Civilization. In this view, Poland was always a member of Western Civilization and a rightful member of the West’s project of Modernity, albeit one merely obstructed from the full realization and embracement of its nature by malicious forces of the East, primarily the “big evil,” Russia, and its oppressive Eurasian Civilization. 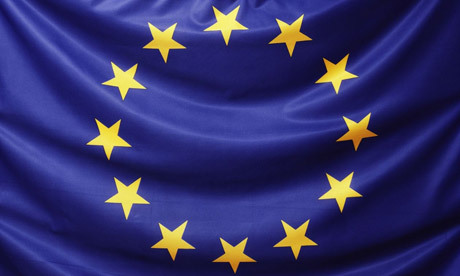 Poland’s entry into NATO in 1999, the European Union in 2004, and its assimilation of nearly all Western institutions, such as the free-market economy and liberal democracy, supposedly represent the long-awaited historical fruition of Poland’s natural affiliation with and innate drive towards Europe. In much of contemporary discourse on Polish history and statehood, the starting and ending point of analysis is Europe. In reality, however, Polish statehood and the historical path of the Polish identity are vastly more complex, and while one can easily accept the reality that Poland now stands, or, alternatively, is held within the camp of the West, one could argue that such is the result of a rich, turbulent, violent, and undetermined history of a nation-state which only emerged in 1945. Zmiana, in struggling for a sovereign path for Poland, must formulate its vision of and answer to the question of Poland’s identity between West and East, and thereby carve out a place for the Polish people outside of the ideological diktat of its Atlanticist colonizers. Stemming from the question of Poland’s civilizational nature, the geopolitical orientation of Poland and, accordingly, the geopolitical allegiance of Zmiana is also a major question which faces the party of the most prominent Polish anti-Western geopolitician. Such a resolution will require careful and confident clarification. 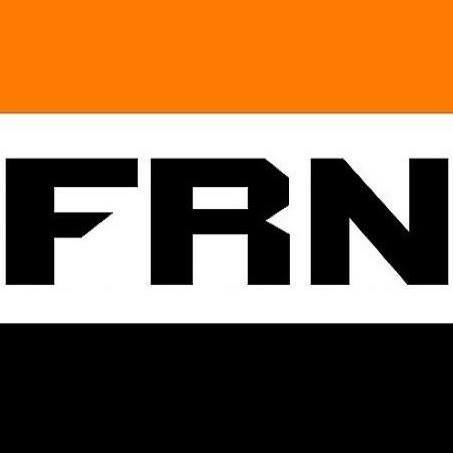 Unsurprisingly, Zmiana has been sighted in the crosshairs of the Polish oligarchy’s Russophobic propaganda, yet the party has yet to explicitly profess any kind of constructive pro-Russian policies which would “rightfully” earn it such aggression besides an aspiration for reconciling diplomatic relations with Russia and support for the struggle of the people of Novorossiya. If Zmiana is going to continuously suffer harassment for being a “Russian Fifth Column”, as is inevitable, it must eventually, confidently affirm that it indeed supports the current efforts of significant actors in the Russian government to promote a multi-polar world and that the Russian Federation is the leading counter-hegemonic force to American unipolarity. Until Zmiana makes such a choice, it will be unceasingly slandered and left without a legitimate, defensible response to its critics. Given the turbulent and sensitive history of the relations between the Polish and Russian people, a lucid understanding of such a history and the possibilities for partnership between Poland and Russia, or lack thereof, in today’s global circumstances must be addressed. There is no doubt that Zmiana is a party of Polish patriots who are fighting on behalf of the Polish people, but if the party views Moscow as an ally in such a struggle, it must recognize, contextualize, and defend this appraisal. Obviously, however, any sort of such a “pro-Russian agenda” can only be formed upon first answering the deep questions of the identity of Poland and the Poles and summating the experience of practical political struggle. Nonetheless, a triumphant and admirable start has been made. 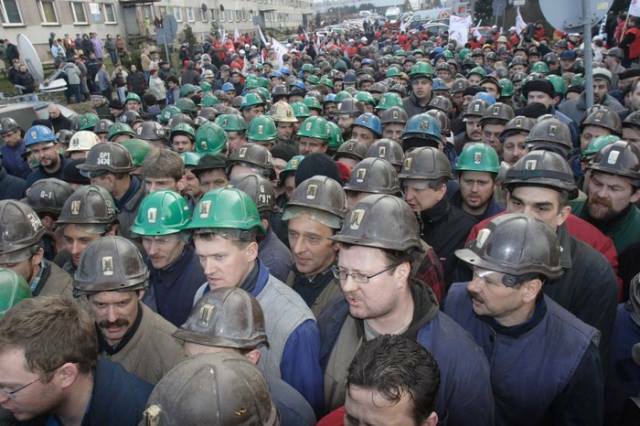 The founding of Zmiana will certainly go down in Polish history as a remarkable instance in which activists from the Left and Right joined together to fight for social justice, national liberation, and a multi-polar world against imperialism, and were greeted by the heroic people of Novorossiya in inaugurating their syncretic struggle for transformative change in one of the world’s foremost geopolitical pivots. “Deklaracja Programowa.” Zmiana. 9 Mar. 2015. <http://partia-zmiana.pl/category/dokumenty/dekaracja-programowa/>. “Deklaracja Ideowa.” Zmiana. 9 Mar. 2015. <http://partia-zmiana.pl/category/dokumenty/dekaracja-programowa/>. Sigan, Leonid. “Partia „Zmiana” Przeciwko „partiom Wojny”.” Sputnik Polska. Sputnik, 24 Feb. 2015. <http://pl.sputniknews.com/polska/20150224/39282.html>. Copyright © Center for Syncretic Studies 2015 – All Rights Reserved. No part of this website may be reproduced for commercial purposes without expressed consent of the author. Contact our Press Center to inquire. 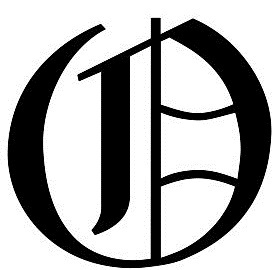 For non commercial purposes: Back-links and complete reproductions are hereby permitted with author’s name and CSS website name appearing clearly on the page where the reproduced material is published. Quotes and snippets are permissible insofar as they do not alter the meaning of the original work, as determined by the work’s original author. This entry was posted in Strategy & Tactics, Theory and tagged 4PT, Alexander Dugin, anti-globalization, anti-imperialism, Atlanticist, communism, Eurasianism, Falanga, Fourth political theory, fourth position, Globalization, imperialism, Marxism, National Bolshevik, NATO, Poland, Polish, Samoobrona, Social Justice, socialism, syncretic, syncretic ideology, Zmiana. Bookmark the permalink. Reblogged this on THE MOSCOW REPORT. As it happens, I’d just finished reading a Sputnik comment on Kuba Benedyczak’s article ‘Russophobia or Racism?’, and it had depressed me quite a bit: so much hatred spread and encouraged by forces that care nothing for the Polish people – except as tools for their selfish, evil aims. Then I came across this report on the birth of Zmiana, and it cheered me up. Thank you, and bon courage to Zmiana and all people of goodwill everywhere.